And, ∠APB and ∠AQB are complementary. 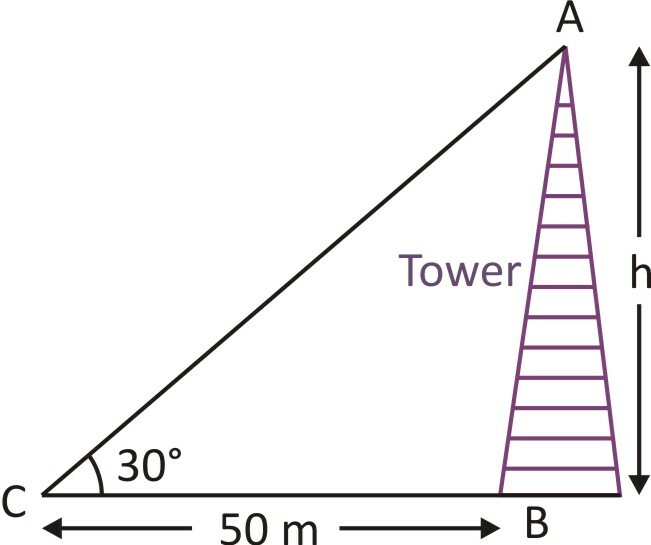 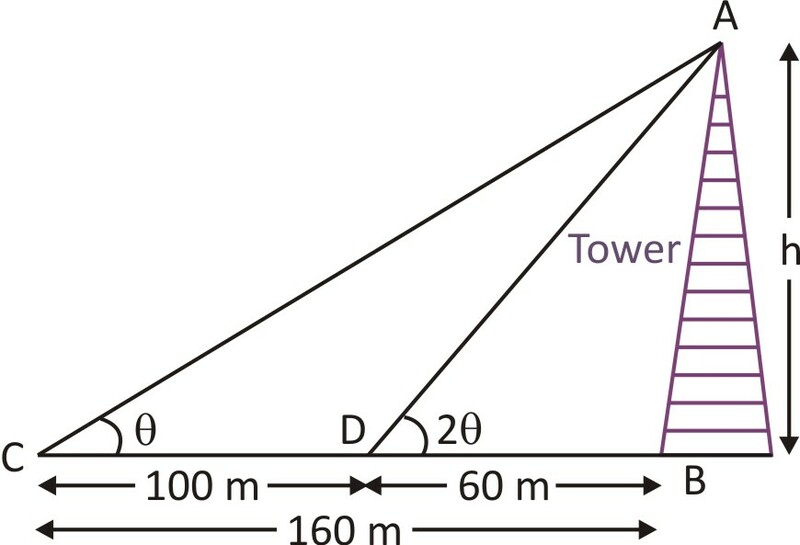 Let, the height of the pillar, AB = h metre. 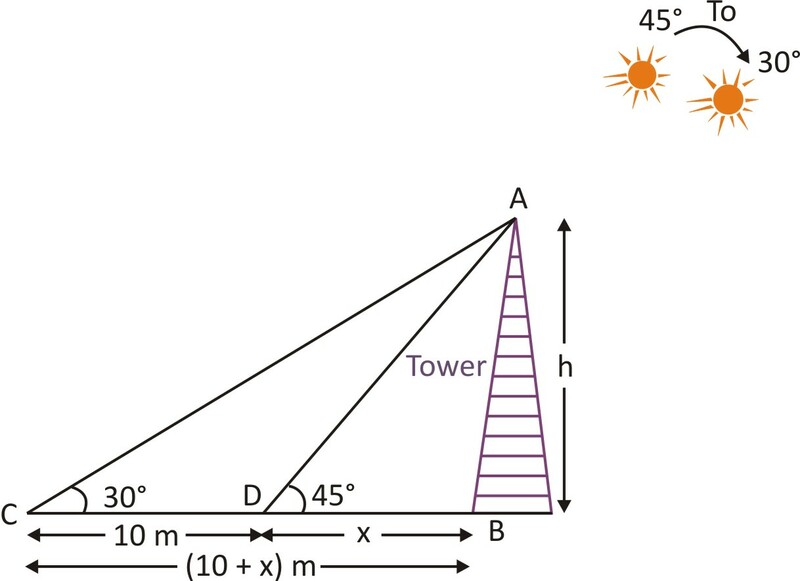 When the sun's angle of elevation was 45°, then the length of shadow of the pillar is BD = x (let). 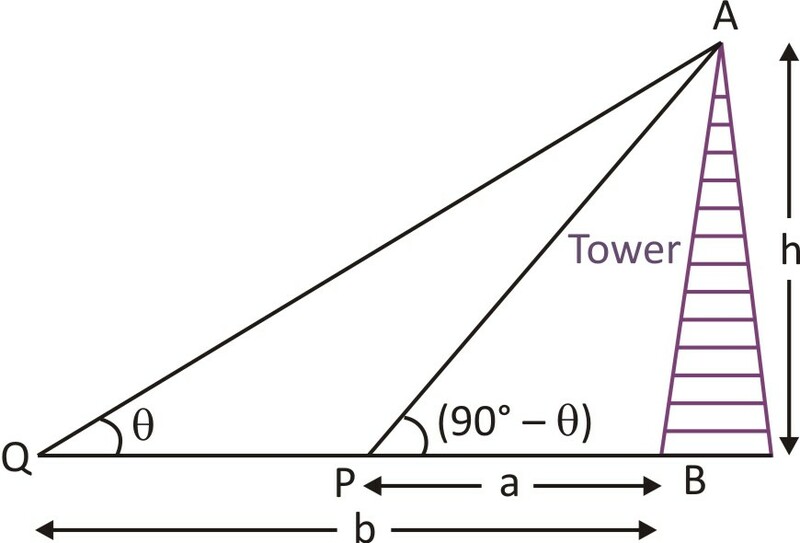 And, when the sun's angle of elevation is 30°, then the length of shadow of the pillar is BC.